Another humid day, another cooling meal. This time, a small bowl of yamakake cold soba at Soba-ya. 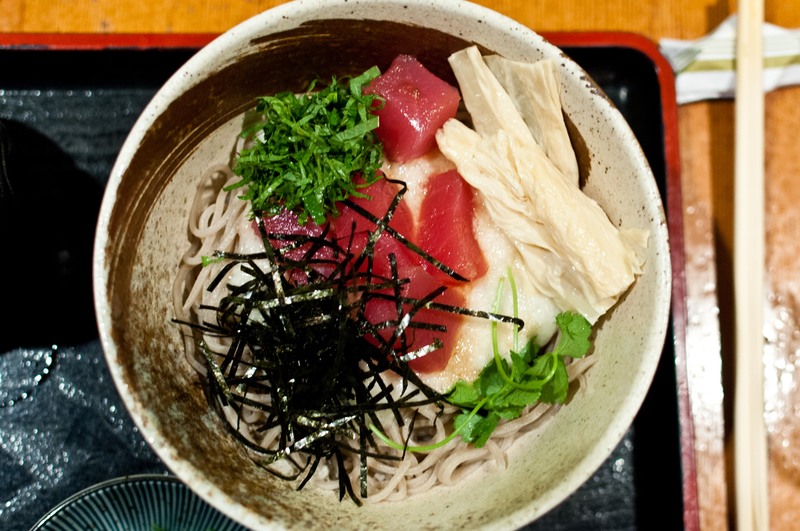 The buckwheat noodles are topped with grated mountain yams and cubes of cured tuna. I couldn’t resist adding in some shiso leaves and fresh yuba to make it more interesting. Not quite as cooling as the Naengmyeon with its icy broth but still delicious regardless.